VTOL (vertical take-off and landing) and HTOL (horizontal take-off and landing) are the two primary ways for aircrafts to produce lift, often incorporated in helicopters and airplanes respectively. In the world of UAS (unmanned aircraft systems), VTOL is more recognized as the default and most preferred method of lift – but why? To understand the advantages of VTOL, the advantages of HTOL must be observed first. HTOL is advantageous for its ability to carry a large load because of its fixed wing design. 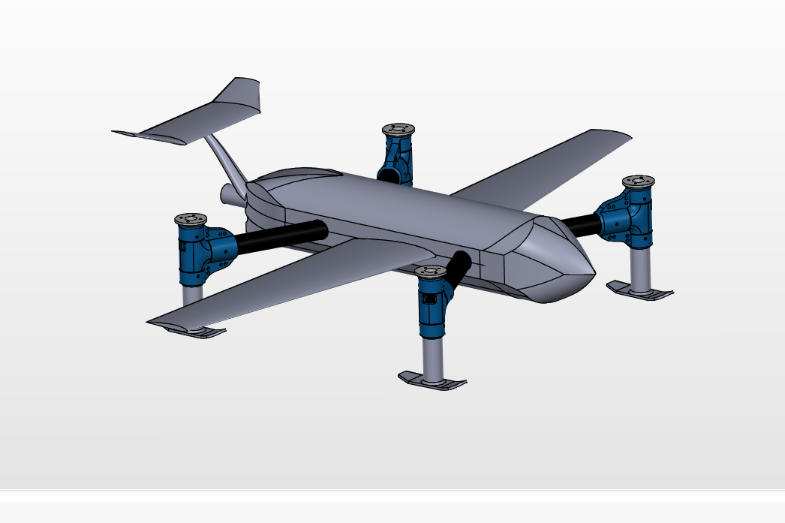 The lift that is produced by the wings are engineered so that the vehicle does not need to carry its own weight as much as a VTOL vehicle would need to. In addition, HTOL can also fly longer distances. This is due to factors such as fuel weight, ability to control HTOL vehicles easier in rough weather, and an overall larger lift to drag ratio. HTOL is also a lot less noisy, and visibility for manned HTOL vehicles are favorable to that of VTOL aircrafts. So why are more drones designed as VTOL aircrafts? The reasons are numerous, but one includes the fact that drones are often designed to only carry small loads (some can carry up to 30 lbs. ), so its inability to carry larger loads are not as important for some designs. Drones are also often made of light-weight material, so the ability to carry its own weight is not an obstacle. Although HTOL vehicles can fly for longer distances, VTOL can fly at faster speeds. This may be useful for transporting objects from one place to another (like big-name shipping companies aim to do), or perhaps taking many pictures over a short period of time. As many advantages VTOL may have over HTOL, its largest asset is its ability to land and take-off in small areas. Runways or small strips are not required, which makes VTOL vehicles much more attractive for its uses in commercial UAS companies. Is there are a way to combine VTOL and HTOL advantages? A tiltrotor is a vehicle that has propellers like a VTOL, but once off the ground it may fly like an HTOL vehicle. The most famous tiltrotor is the V22 Osprey, used for military purposes. It went through heavy redesigning all through the 80s but proved to be an engineering masterpiece for its ability to overcome disadvantages presented by both VTOL and HTOL; although incredibly versatile, some disadvantageous of VTOL and HTOL still exist in the aircraft. The largest disadvantage that tiltrotors possess is its inability to go as long distances as HTOL, or its inability to go as fast as VTOL. Tiltrotors are not used in UAS vehicles because they still need a small amount of runway to take off and are difficult to manufacture. The technology of VTOL UAS is sufficient in its load capacity and travel distance, that most drones don’t need the advantages of HTOL. This is not to say that drones will not use HTOL or tiltrotors as their main lift method, but that most drones are sufficient without it. VTOL and HTOL have their respective advantages and disadvantages (far beyond the ones mentioned here), but the world of UAS will continue to see VTOL as the default lift method in drones for the foreseeable future.